We are offering specially Electronic Fuses designed for motor protection application. They are suitable for both Direction-line motor starting application and in conjunction with contractors for star/Delta motor starting. These fuses offer protection for the motor circuit from inadmissible high over current and in case of short circuit, isolation takes place at the fastest give time. The fuses are designed to withstand surges due to frequent Starting of the motors. 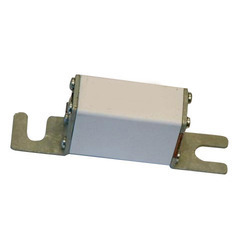 Our organization specializes in providing an excellent range of C-1 M Series Fuses. The fuses are specifically designed for use in PV systems with extreme ambient temperature, high cycling, and low fault current conditions (reverse current, multi-array fault) string arrays. Require low maintenance, these come in the market at pocket-friendly prices. We are engaged in offering a wide range of C-O Series Fuses to our clients. It acts as a sacrificial device in order to provide over current protection, of either the source circuit or load. The offered range is manufactured using high-quality raw material and innovative techniques in accordance with globally accepted norms of quality. It is available to our customers in varied specifications in accordance to their needs. We are one of the trusted names in the market to offer a highly durable range of C-1 Series Fuses. These fuses are used in various industrial sectors for different electric purposes. Our professionals are working with sophisticated machines and utilizing top-notch quality material for designing these fuses.